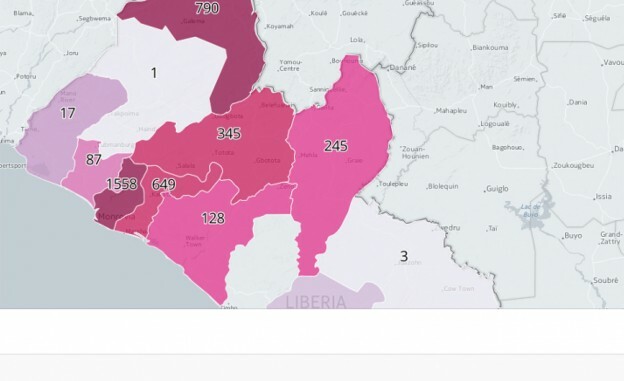 The EbolainLiberia.org mapping project uses data to deliver real-time information on the virus. While many university students were finding routine in another fall semester, a group of students at University of North Carolina and Syracuse University immediately began brainstorming ways to visually represent Liberia’s Ebola outbreak. UNC’s Steven King and Syracuse’s Ken Harper teamed up after the Liberian Ministry of Information requested the project from Harper, who made Liberian connections during his stay as a professor with Together Liberia. EducationShift talked with King and Harper about the EbolainLiberia.org project and its value to journalism education. What concerns did you have going into the project? Steven King: The biggest concern we had was if we were going to be able to get reliable data in a sustainable way. And that has continued to be our biggest issue. I knew we could build something, but the question was whether we have good data to put into it. Ken Harper: Steven nailed it, and it’s still a problem today. 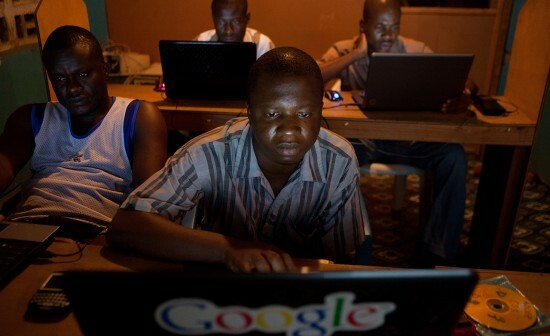 Liberia is pretty infamous for not having the best infrastructure, having issues of corruption and people who aren’t properly skilled for some of the positions that they hold. If you add that to a post-conflict environment, childhood soldiers and trauma from the civil war, it’s a recipe for disaster — and Ebola on top of that. For instance, one of the original folks we were trying to bring in on the data team got Ebola. A long, tragic story short, he made it and his father made it out alive and they’re doing fine now. But when you’re talking to people about data as it relates to Ebola, it’s numbers. We know there about people associated with this, but when your brother passes away or when your friend contracts it, it takes on another meaning. The reality of conducting business and getting things done in an environment like Liberia is very difficult for almost anybody to wrap their head around. It’s very intense. And one of the best things that has come out of this is our ability to bring this home to people and attach it to something that’s alive and happening in the world and has significance. It’s been a really great experience for the students and hopefully has been able to bring about some small amount of help to the wider audience that needs to wrap their heads around what’s going on. How did you combat them? King: We just had to start building and figure out what we needed, and at the same time, Ken was working with different partners in Liberia. From my perspective, we just started working and building and kind of figured it out as we went. Harper: Honestly, that was the key to this — getting folks together who were specialists in certain areas of communication. For me, it was my experience of working with the media in Liberia and trying to traverse the reality that is the media landscape in Liberia, especially working with the government. Photo by Ken Harper and part of the TogetherLiberia.org project. What kinds of skills were students able to implement through the project? King: One of the things about timing was that the project began right around the first day of class for the semester. I was teaching a mobile apps design and development class, and I was teaching human-centered design concepts. I basically put it to them, and we started doing some constructive brainstorming exercises around human-centered design to try to see what they could come up with, and some of those things ultimately became features of design, but a lot of them didn’t. But I think we were able to see that it was more than just what we could think of, and we added some other people to add ideas to the process. We were able to experience what it’s like to work with real data when you have data that just doesn’t come through or when you have more data than you have space to display it. We had to have design students go back and redo the CSS a couple of times to get that right. They got the kind of real-world problems that come with dealing with data. That was a real big piece of it. Typically, most students work on a project, turn it in and the grade’s done. But with this project, students turn it and then go fix it and make it better. And then tomorrow, we go and fix it and make it better. It was working in a real-world environment that they learned from. Harper: We were about a week off starting our classes, so Steven’s students really took off first and were able to get something up really fast. It was amazing how quickly things came together. When my students came on board, we went as deep as we possibly could into creating user personas and trying to have the students understand the value of a website in a country where a large percentage of the public does not have access to electricity, let alone the Internet. The simple answer is that the people who make the decisions for that large percentage have access, and of course there’s an informal network of media that uses the site, such as the president and health care workers. It was a great learning experience for the students, for sure, and it continues a big point of conversation on campus. Going forward, how do you foresee the project adapting? 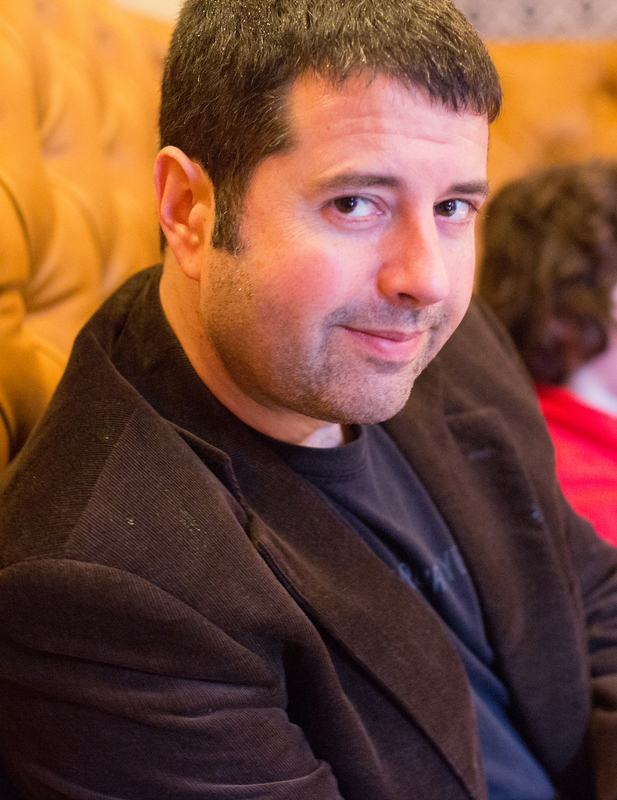 King: We open-sourced all of the code, so anyone can use it or build from it. I can’t say it’s as pretty as we’d like it to be, but it’s out there. Our main goal is that we would love to take it and make it a much more more expanded project to include not just Liberia, but all the countries experiencing outbreaks. But that really takes partners on the ground keeping the data collection going and that’s something that we can’t guarantee right now, so we’re seeking funding from large organizations to try and find a way to do that data collection. We are open and would love to be able to continue the project and expand to become a global version, but we just need to be able to put some data boots on the ground. Harper: And there have been groups that came in at the same time as we did and many haven’t been able to get anything up — most of them are still passing around PDF files. There are starting to be larger, well-funded organizations that are starting to pump out data-driven sites. I think what was really successful with this project was that we were able to get something out really quickly. I think because of mine and Steve’s past experience of working together and really trusting each other and then having folks inside the Liberian government that we know, we were able to find a trusted partner. That is the number one thing that is very difficult to achieve — trying to find someone you can really put your trust in. We hope to continue it, but it’s a difficult environment, for sure. The website informs decisions made by healthcare and government officials regarding the virus. How do these types of experiences prepare students for careers in a way traditional classroom instruction might not? King: I had a student the other day say, “I learned more in this class than I’ve learned from any class in my entire time here at UNC.” I think it’s true because it’s real problems. It’s not just me giving an exercise that will cover a few things, it’s the same problems that you face in a real job. At UNC, we teach project-driven learning. And from a professor’s perspective, that’s hard. It’s hard to troubleshoot, but I think it’s really real and probably the best way we can prepare people for their jobs. Harper: It’s extending it beyond the theoretical. In just that first and second week of class, students were able to interact through Skype with people on the ground who were being affected by what they were working on. It was actually pretty emotional. The news has been insane about this specific epidemic and to be able to have your hands on the pulp of what’s happening on the ground and working with real folks really ties it together. It’s no longer theoretical. The numbers are starting to have faces. It’s not just data, these are real people being really affected. It’s easy to get wrapped up in the technology, which is fine because it moves us forward, but we can never forget that every time we interact with an Excel spreadsheet or put a number in a cell, that is a human — a human that is suffering, may have died, has relatives. It brings it back home to our shared humanity and obligation to help each other. What advice would you give educators who are looking to implement real-world experience into their courses? King: Don’t be afraid to work with real clients or real people with real problems. We try to go out and find real problems to solve. This one came to us, but I think that is an important thing and finding something that’s a real problem that’s worth solving. It’s nice when you can do something out there for the greater good of humanity. The other part as an educator is that you’ve got to figure out how to assess it. It’s one thing to do it and get the real value from it, but then how do you grade and judge that? That’s the hardest part for me as a professor, so don’t be afraid to try a new approach — grading based on the effort and quality of the work. Sometimes you’ve got to acknowledge that students worked really hard on this, it failed, but we learned a lot when we failed, and that’s OK.
Harper: What we were trying to do was create a minimally viable product, and I think classrooms could use a lot more of that line of thinking in the creation of their curricula and the expansion of what is possible. I think the idea of really being unafraid of failure and running toward the things that scare you — that you’re not expert at — and partnering with people to figure out larger problems in the world. I think that level of challenge is really exciting.